Chickens are not a fan of the dark, so it is very important to keep poultry houses lit, according to their stages of life. HID lamps like metal halide (MH) and high pressure sodium lamps (HPS) are dependable options when creating ideal lighting for your poultry. These lamps have dimming capabilities, but require the use of special electronic or magnetic dimming ballasts to function properly. Whether dimmable or not, all HID lamps require ballasts to operate. These lamps are powerful, but they have their own drawbacks. For example, they have to cool off before being turned back on again, a process called restriking. Unlike incandescent lights, HID lamps take longer to warm-up. The warm-up cycle for this type of lamp can be anywhere between 2-10 minutes. Also, unless your broiler house has incredibly high ceilings HID lamps may be providing too much high intensity light. Furthermore, when metal halide lamps are dimmed they change to a more blue-green color while high-pressure sodium lamps turn more yellow. Color change and restriking can cause irritation in the poultry, which in turn affects their mood and productivity. Cold Cathode fluorescent lamps (CCFLs) are not filament heated and are compatible with a variety of dimmers, from 0 to 100%. Though these lamps have excellent dimming capabilities they usually lack the brightness of regular compact fluorescent lights (CFLs). This is a drawback for poultry, especially during the brooding phase of their lives. During this period, the digestive, nervous, immune, and circulatory systems are all developed. As stated earlier chicks must be exposed to a good amount of steady light which helps lead them to feed. Later, during grow-out less light is required but sensitivity is still an issue. Unfortunately, CCFLs often flicker making them less efficient than HIDs and Incandescent lighting for poultry houses. LED lighting has grown in popularity within the last few years due to their extensive bulb life, durability and lower energy cost. 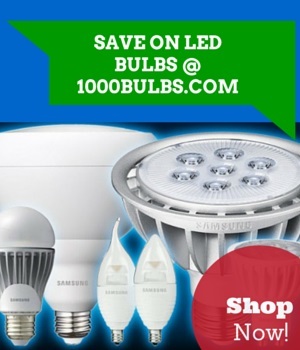 LEDs can last as long as 50,000 hours- and are less likely to burn out. As we’ve learned, dim lighting is a very important attribute in poultry lighting. Unlike other sources of light, LEDs do not flicker, an ideal trait since poultry are so sensitive to variations and wavelengths of light. The lack of flickering helps to keep chicken calm. Also LEDs have more flexibility than other light sources, making them easier to use for poultry houses and providing individuals with more control during each phase in poultry development. Initial cost for LED can be expensive but with price drops and utility rebates this is rapidly changing. With any cluck we’ve cleared up some of the issues behind poultry lighting. There are pros and cons to any light source you decide to use for your chickens. Have any questions or comments on this matter feel free to respond, we’d love to hear from you on Facebook, Twitter,Google Plus, LinkedIn, or Pinterest!.